Photo Exhibition is organised from Lyceum of Agiou Ioannis. 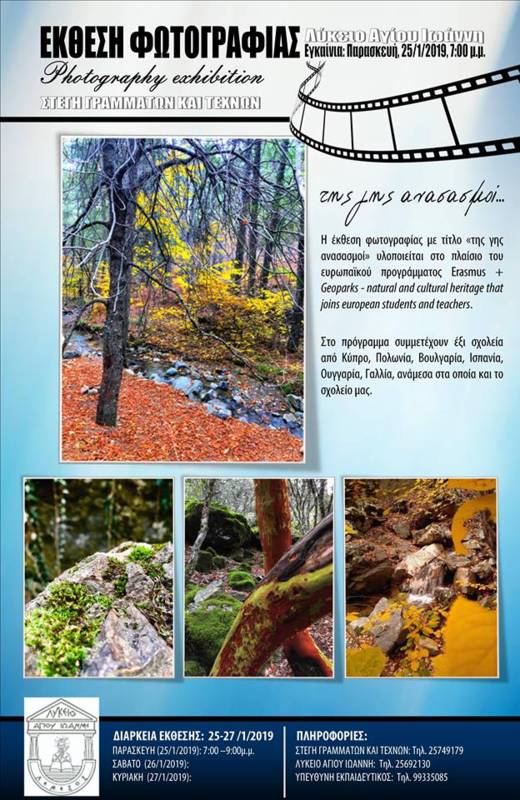 The photo exhibition titled „Land Reconstructions” is being implemented within the framework of the European Erasmus + Geoparks – Natural and Cultural Heritage Program, which joins European students and teachers. Six schools from Cyprus,Poland,Bulgaria, Spain,Hungary and France are partners in the program. Duration of the exhibition: From Friday 25 of January 2019 till Sunday 27 of January 2019.